What material is Colorsteel Fencing® made out of? 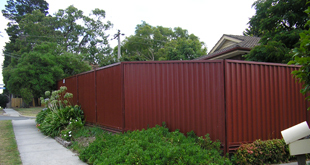 We use Bluescope Colorbond® steel products for most of our fences. Bluescope warranties their material for 10 years for colour fastness. 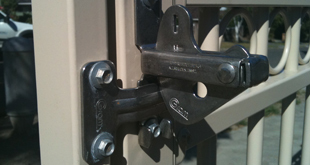 Colorsteel Fencing® warranties our installation workmanship for 12 months and provides a gate adjustment if required in that time. What about the other materials like lattice & plinth that is used? 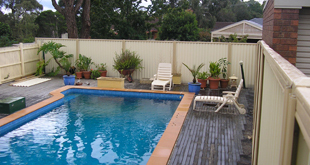 The rolled lattice and steel plinth is supplied by Gramline Pty Ltd and is a pre-painted steel of the same thickness as Bluescope steel and Gramline provides a 10 year warranty on their products. 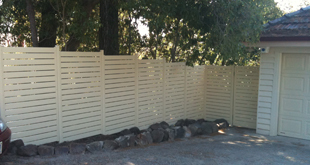 Why should I use Colorsteel Fencing® to install my fence? 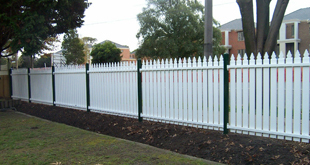 Colorsteel Fencing® is a family run business, we build all the fences ourselves and provide an excellent, professional service within a prompt timeframe, with minimal inconvenience to our customers at a reasonable & competitive price. Colorsteel Fencing® takes pride in our workmanship and is concerned about the look of the finished product and our customers satisfaction is paramount to our success. How long does Colorsteel Fencing® last? As long as the ground supporting the footings of the fence is not disturbed and the fence itself is not damaged in any way, this should be the last fence you need to install. Colorbond steel is a durable and strong product and when installed correctly using the appropriate footings we estimate a 20 year plus lifespan. What do I need to do to get a quote? Contact us by phone or email. If you get the answering machine leave your name, number and a short message and we will contact you if not the same day, within the next 24 hrs. We will make an appointment to come and see you at a time that suits you, within normal working hours, to measure and quote your requirements. If your fencing requirements are straight forward, we generally write up the quote on the spot providing you with brochures and colour charts to discuss details with the relevant parties. What do I do if I want to accept the quote? When all relevant parties are happy with the quotation, you both need to sign the paperwork provided with all parties contact and mailing details and then send to our PO Box listed on the paperwork, as soon as this is received with the required deposit we will contact you to book the job in to a mutually suitable date and order the material. We will then call you a week prior to confirm your job is on schedule. 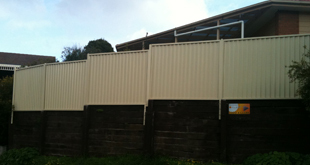 After the warranty period, Colorsteel Fencing® will be available for after sales service at a small call out fee.